Republicans were touted as the divided party this year. It looks almost unified compared to dissension in Democrat ranks. If this keep up throughout the convention, she’ll be greater damaged goods than already – unable to unify a a deeply divided party. The media support her anyway, concealing her despicable public record – knee-jerk Trump bashing instead featured, a daily onslaught combining facts with over-the-top fiction. 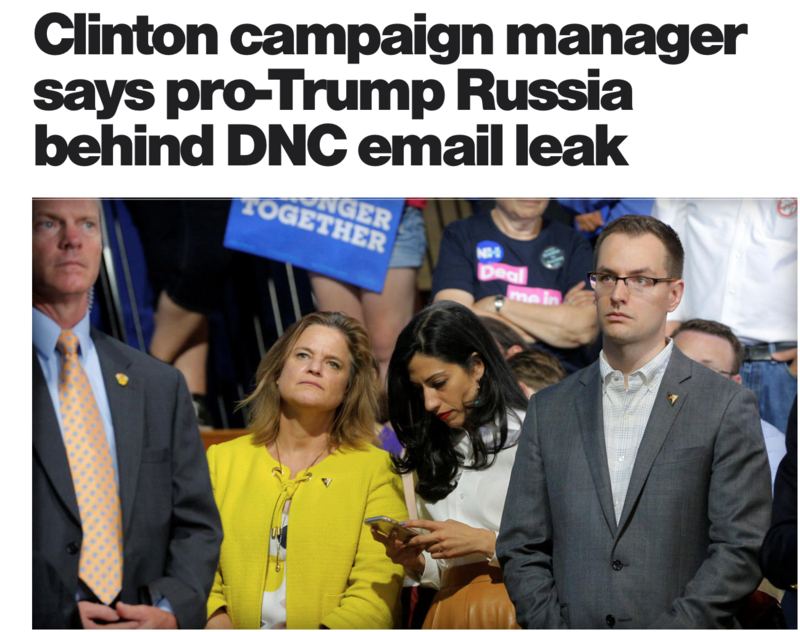 Yet in virtual unison, the media blame him for hacking into DNC emails, collaborating with WikiLeaks for publication – covertly aiding the Trump campaign.